This programme/module offers not only the GROW model but significantly adds to it by incorporating other approaches. It covers a number of themes, from group and team coaching to executive and leadership coaching. Course fee indication: Approximately R9500 as the fee is slightly sensitive to the amount of participants. 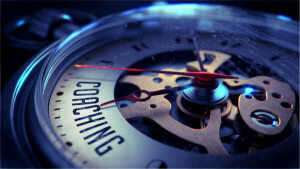 The Advanced GROW model for coaching contributes to the Advanced Course in Personal and Corporate Coaching. In the advanced course it forms one of the modules and can therefore be upscaled when enrolling for either a two-/ three module course. Should participants wish to continue their learning they can do so cost effectively within a period of years – provided there are no major revisions in the course material and structure. Seeing that the course is tightly integrated into the advanced course, once the advanced course is completed it opens up opportunities to further studies on a Masters Degree level (with certain terms and conditions that apply). The opportunity to contribute to the participants coaching log for purposes of registering as a coach. Advice and guidance on the process of getting certified at the various coaching governing bodies. Certification from University of Pretoria, continued education, a leading university and registered with the Higher Education Counsel of South Africa. Other relevant benefits include course material, snacks, coffee/tea, lunch. Decision makers, Managers and Team leaders, Coaches, Facilitators, Mentors, Mediators, Consultants, Trainers, Organisational Development and Human Resources Practitioners, Transformation and Change Management Practitioners, Cultural and Diversity Practitioners. Existing Practitioners in any of the professional/skilled helping modalities such as facilitation, consulting, counselling, mentorship from any discipline. The following four modules are part of a series that collectively forms the Advanced Course in Personal and Corporate Coaching. All the modules while presented independently are fully strategically aligned with one another. Participants can start the advanced programme at any one of the following taken consecutively. Please note that the Research Module is effectively free but can only be taken in conjunction with enrolling with at least 3 of the 4 modules. However, if certain terms and conditions are met the Research Module can be taken separately so as to fulfill criteria for enrolling for a masters degree. Please note that should you enroll for the advanced programme and decide after one module to continue rather on a per module basis your fees will increase to the per module rates and you will to do an additional assignment for which there is a marking fee. For the past number of years, as a research fellow at the University of Pretoria, Dr. Pienaar took focus on the theme of Narrative and Spiritual Coaching in Organisational Development, comparing coaching to other practices such as consulting and facilitation. Prior to this he has been involved in profit and non-profit driven organisations and founded or developed several business. He is doing an Executive MBA programme in aid of having established a postgraduate research community exploring the area between Organisations and matters such as workplace spirituality. He is the course leader for the Advanced Course in Personal and Corporate Coaching presented by ‘Continuing Education at University of Pretoria’ and aspects of said course also offered by way of individual modules. His PhD explored the interaction between narrative ideas and the arts, covering personal to organisational settings. Apart from research endeavours, in practice he is a meaning architect, organisational consultant and mission-designer. He is a consultant at Telling Outcomes that works particularly with narrative practice. He brings together the theoretical rocket science and practice of skilled helping through which raises the standard of leadership, management and professional services such as coaching, mentorship, facilitation, consulting and counselling. He invites novelty, creativity and artistic thinking and application, will not let go of collaboration and empowerment, and sometimes gets into trouble by unknowingly deconstructing modernistic silos and challenging taken for granted beliefs and practices. When you subscribe you will receive information on all coaching courses as they occur during the year.